Today I got up and started to do my morning rituals to feed the chickens and to water my garden to protect them from the heat, I use my trusty Gumboots and they have finally called it a day I bought them when we first moved into the Whitecottage, The Whitecottage did not look like the way it looks now, it did not have a garden for the exception of some really overgrown Lilipillies it has taken 4 years, a labour of love really. I remembered just standing in the backyard although not huge we had plans to create a cottage garden and a vegie patch, with that in mind I bought my first pair of Gumboots they only costed $15 from Target although I have some fancy gumboots much to Farmer Joe's pain - Wallet pain that is!! 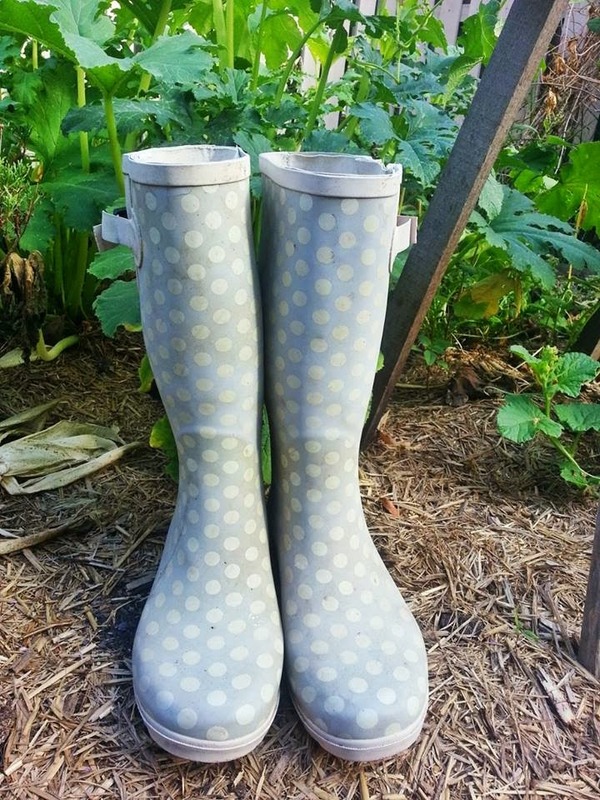 but none of those gumboots have brought me so much happiness and pleasure like my el cheapo gumboots have, they are not just gumboots they signified the dreams I had for our family home and for us as a family to have our forever home to have an edible garden I started to learn about permaculture. Four years on and the garden is a work in progress and it has a long way to go and my trusty Gumboots will now reside in the vegie patch as a reminder of what they meant to me and this Garden.